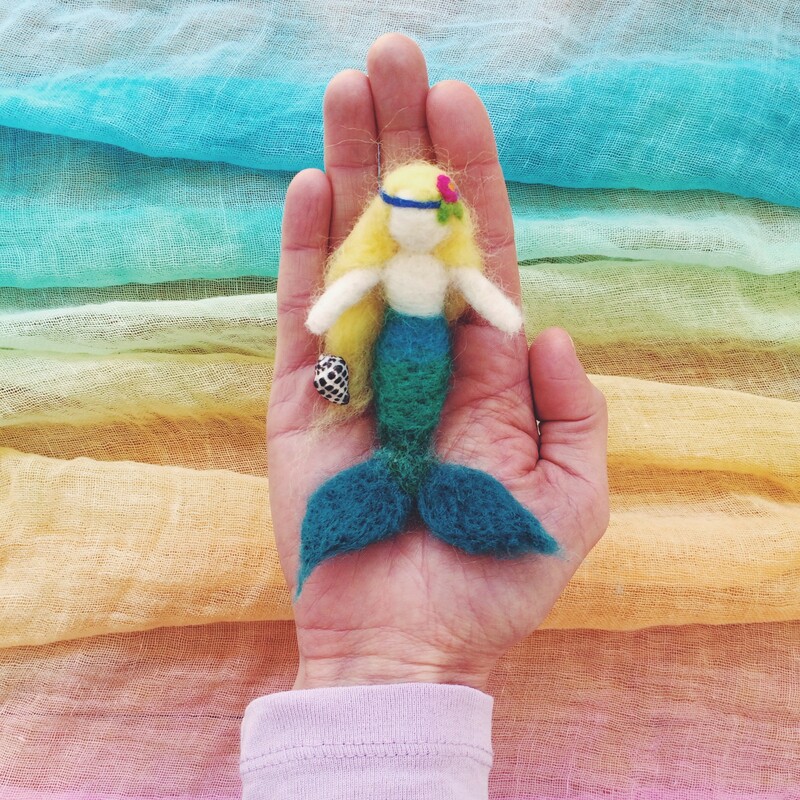 When you find yourself by magical waters it may lead you to daydreams of mermaids. It seems all of us are enchanted by the idea of being able to breath under water and explore that underwater world with such freedom. 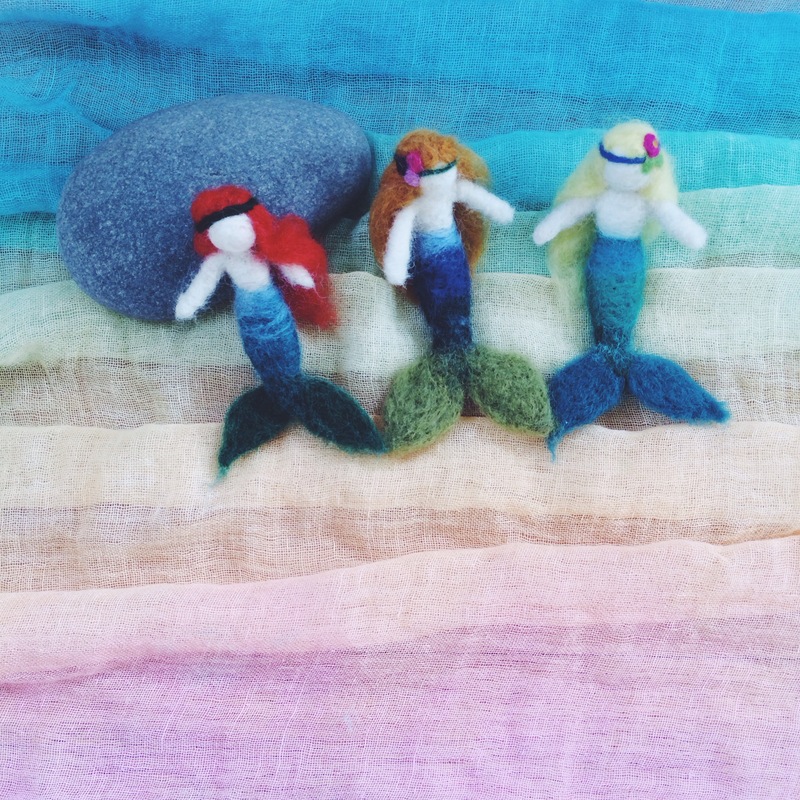 Mermaids make for beautiful make-believe play and a lovely way to include that collection of found shells in your playful set ups. We have a collection of homemade mermaids made of needle felted wool. 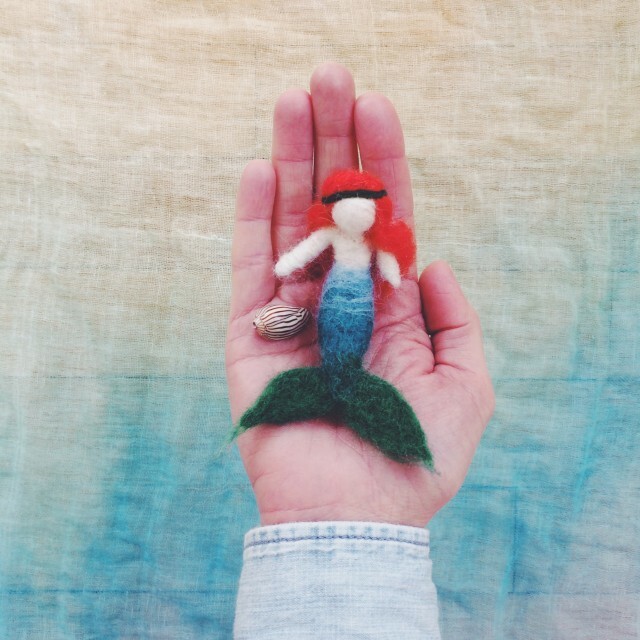 You can read more on our needle felting tutorial, and see other larger mermaids we have made, that are still floating around our home and being loved 5 years later! Wet felting with water is also a lot of fun! 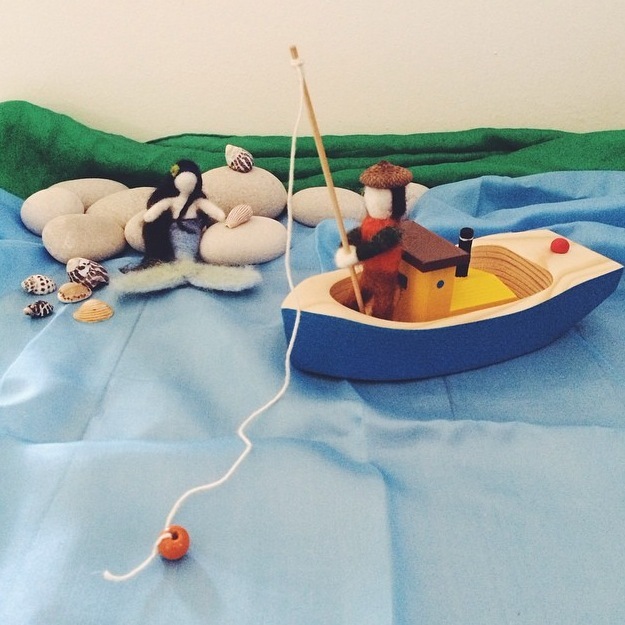 This entry was posted in C R E A T E, P L A Y and tagged art, craft, handmade, mermaids, needle felting, toys, water, wool. So cute !! Adorables ….